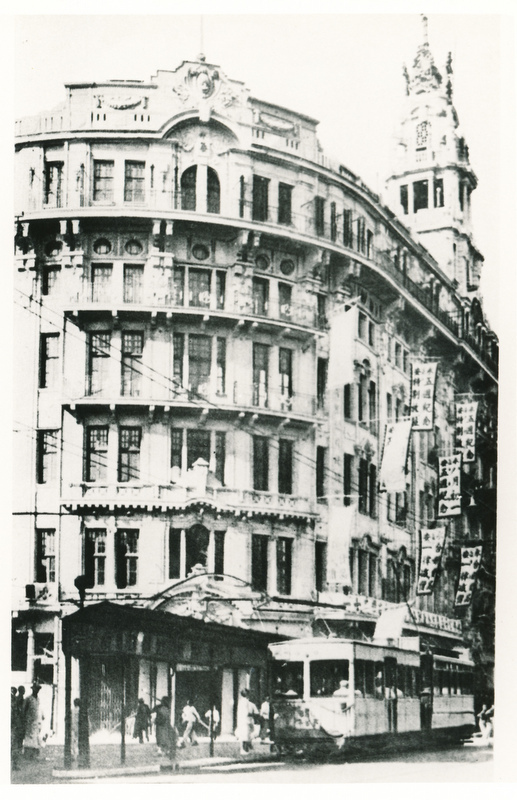 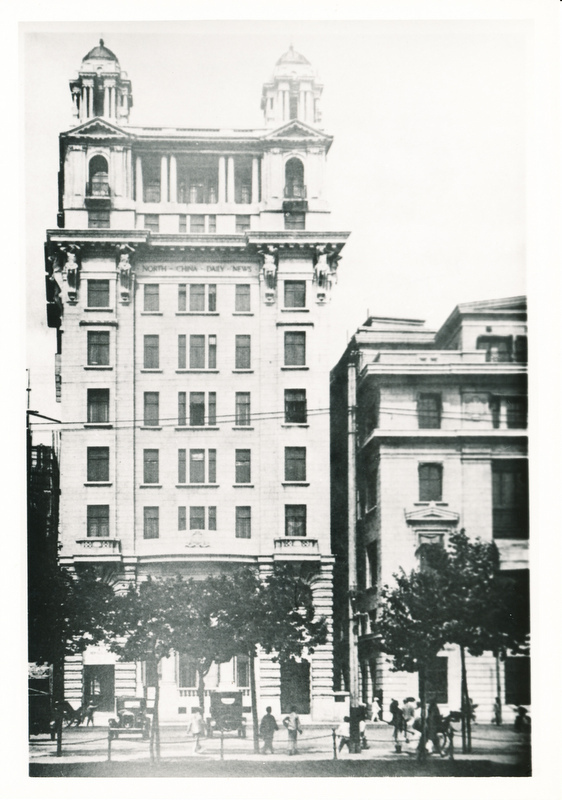 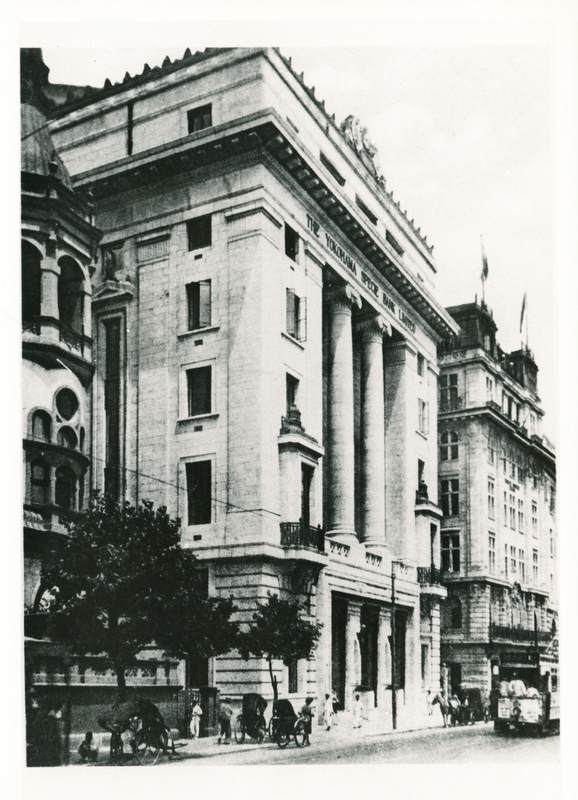 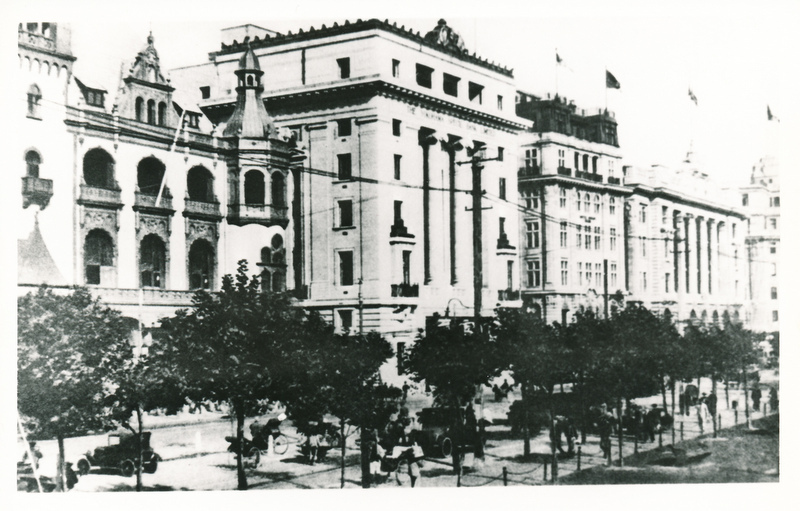 1928 "Shanghai of Today" P.47 Sassoon Building Corner of the Bund and Nanking Road (Cathay Hotel). 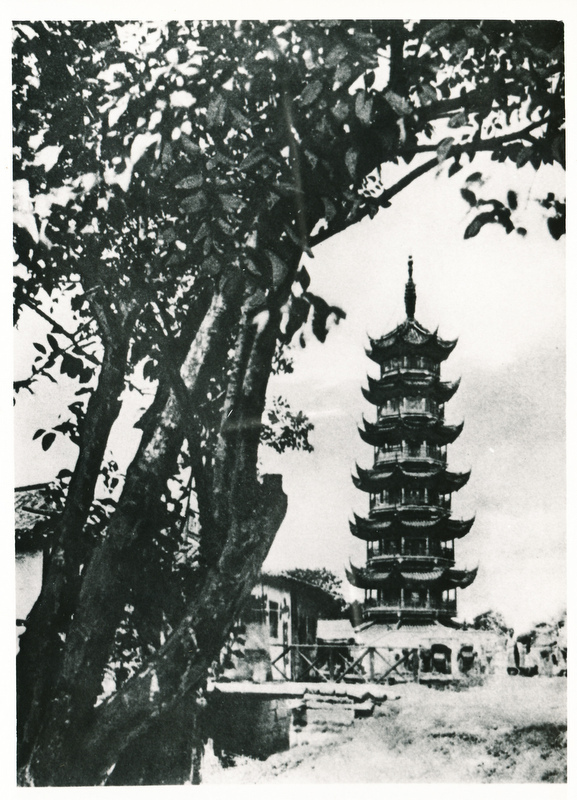 Shanghai 1948 National Geographic Magazine. 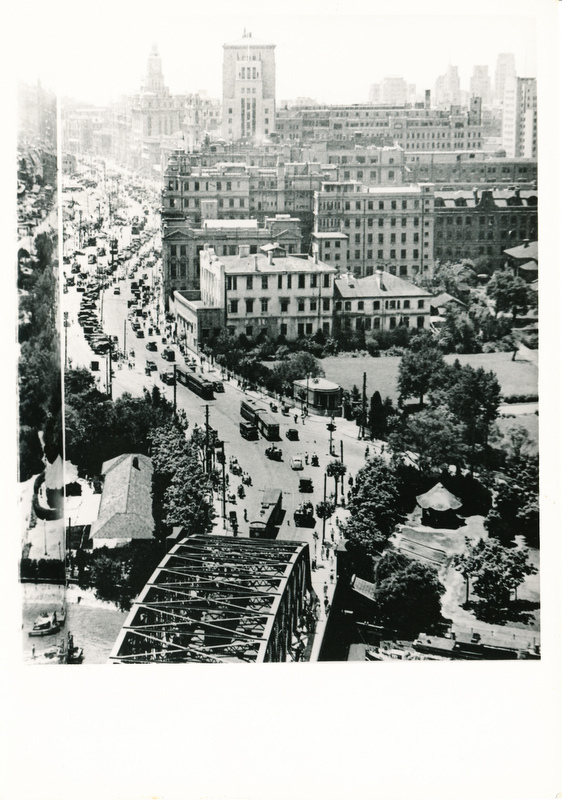 1928 "Shanghai of Today" Plate 30 Bubbling Well Road looking westward. 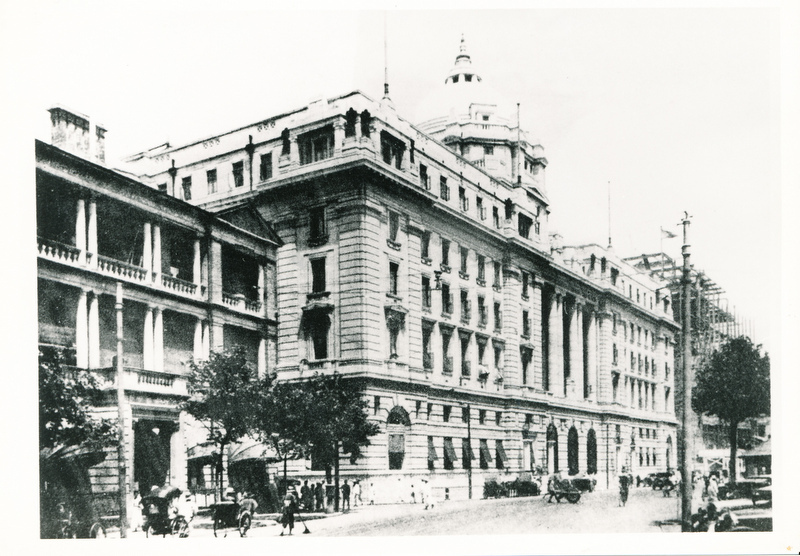 The imposing building is that of the China Inited Assurance Society. 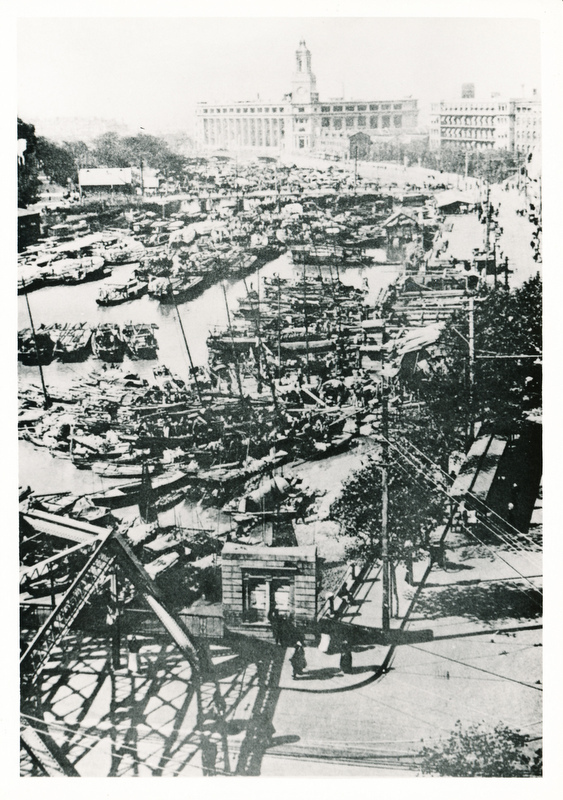 1928 "Shanghai of Today" Plate 37 Cercle Sportif Francais Route Cardinal Mercier. 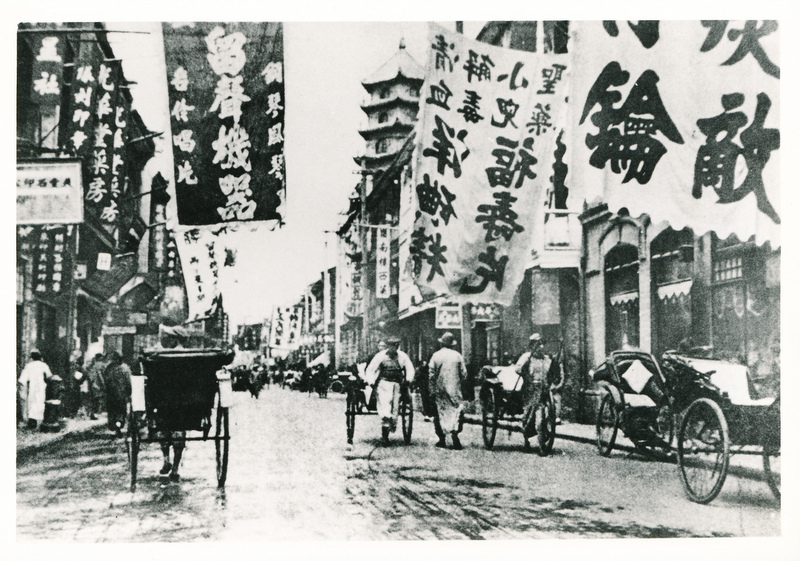 1928 "Shanghai of Today" Plate 26 The Sinclair Co. Ltd. at the junction of Nanking and Chekiang Roads. 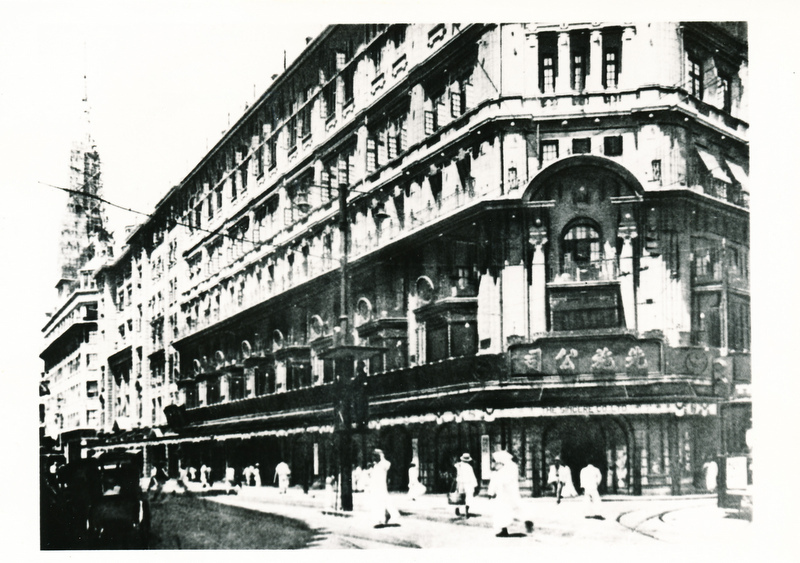 1928 "Shanghai of Today" Plate 29 The Majestic Hotel. 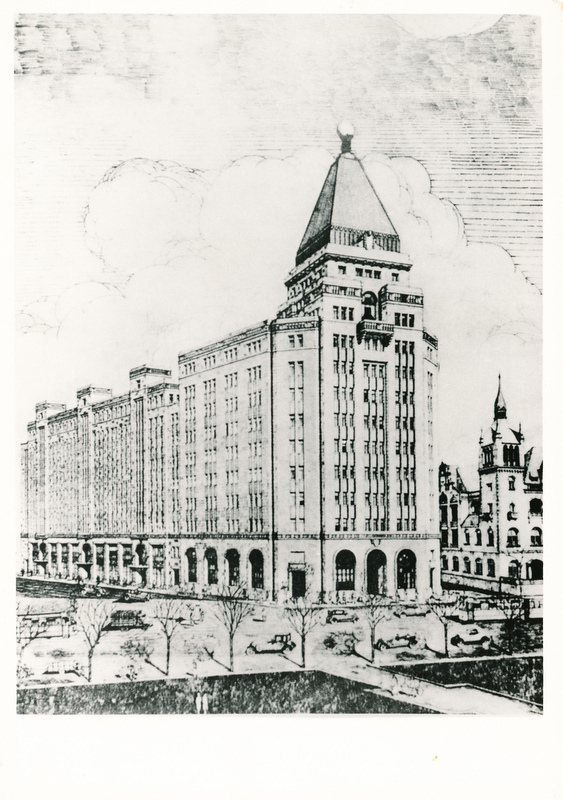 From "Gussie" White via Jim MacDougall. 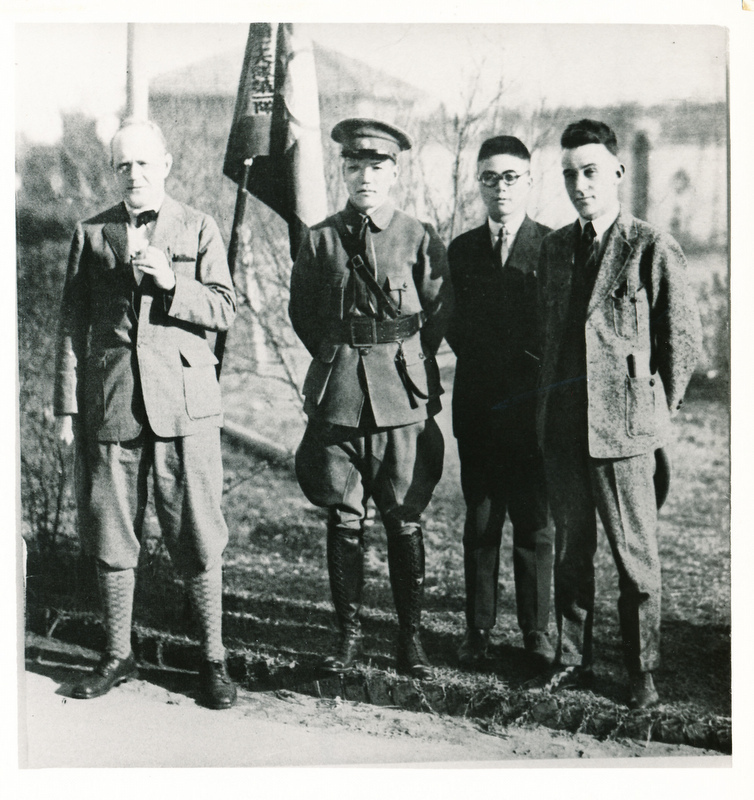 1928 "Shanghai of Today" Plate 96 John Pal (Right) with American newsman John B. Powell ("My 25 Yrs in China") and interpreter meets Generalissimo Chiang Kai-Shek at his Shanghai Headquarters on day of Revolutionary Leader's arrival. 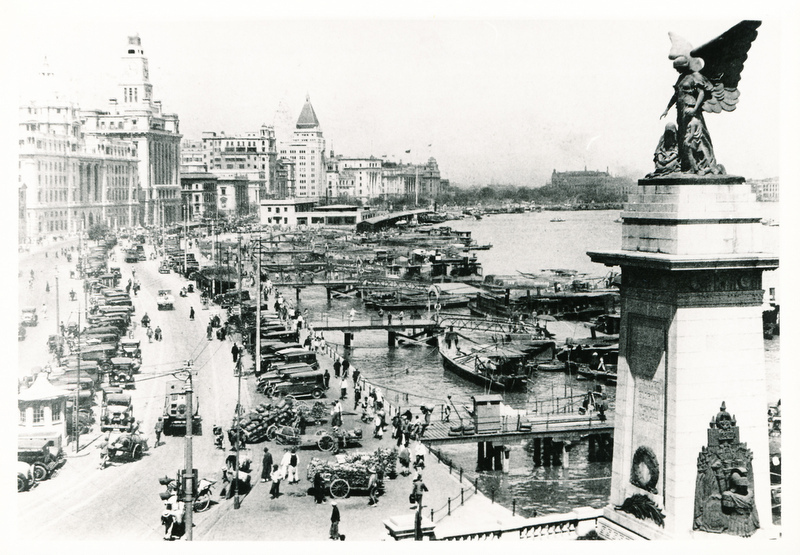 1927 "Shanghai Saga" by John Pal. 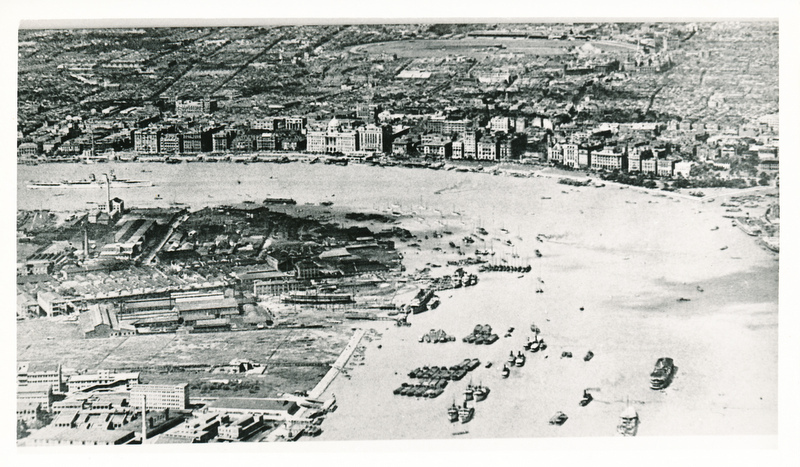 Page 32 Aerial view of downtown section of Shanghai area - showing mostly International Settlement. 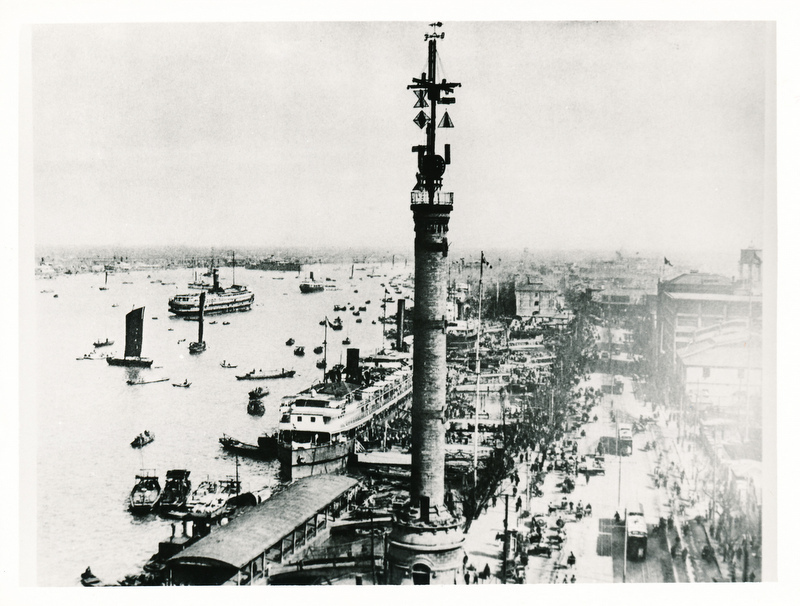 1927 "Shanghai Saga" by John Pal. 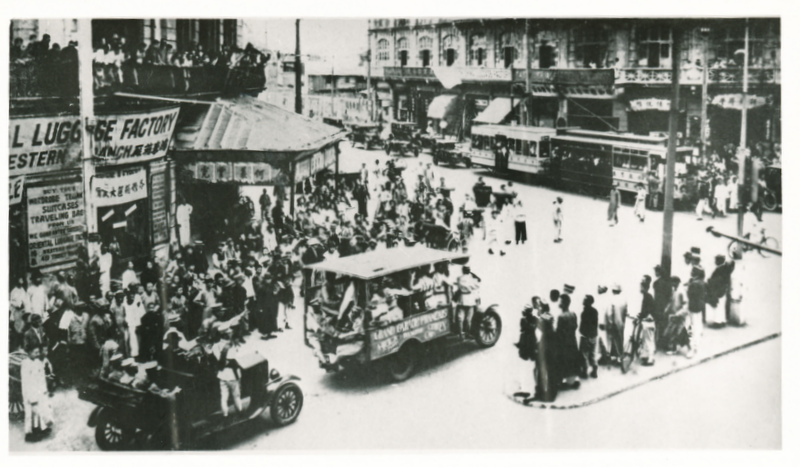 Page 112 "Captured criminals and terrorists under death sentence pass through Shanghai Streets to execution." 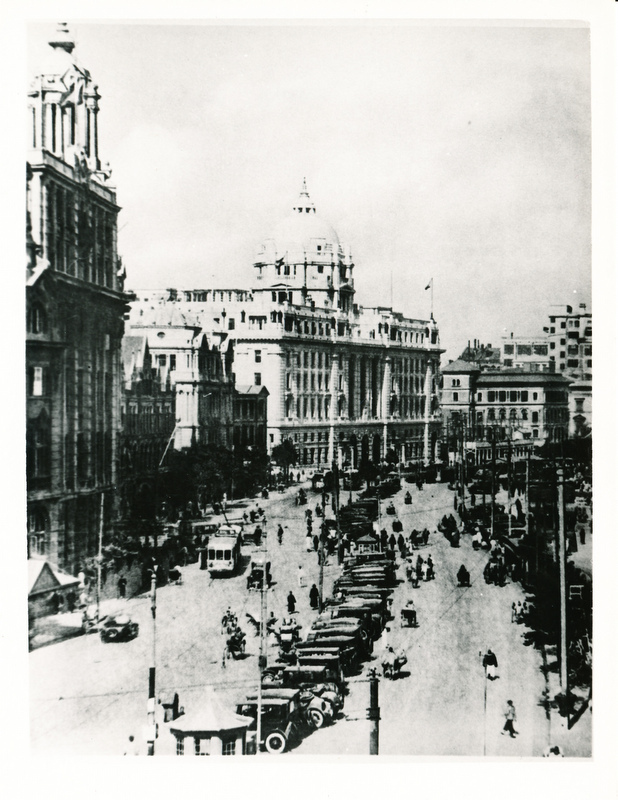 1928 "Shanghai of Today" Plate 02 The Shanghai Club. 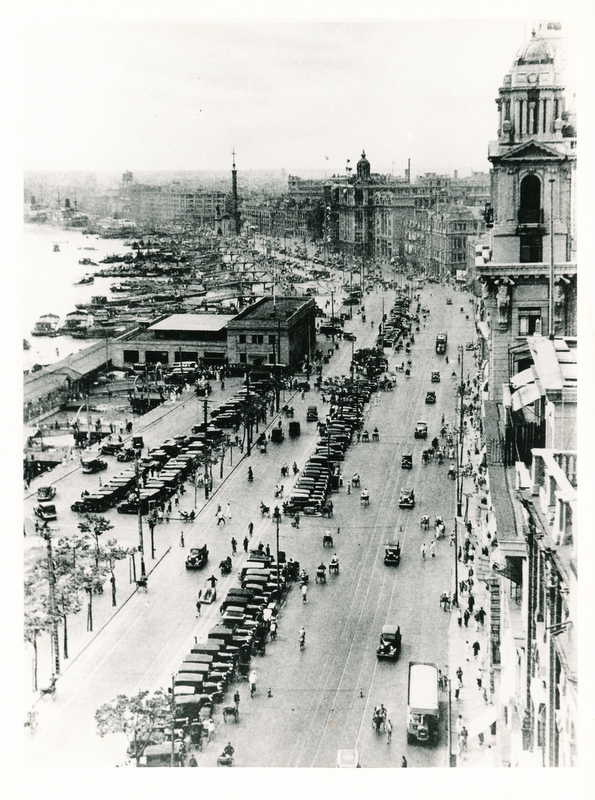 1928 "Shanghai of Today" Plate 48 Shanghai Race Course. 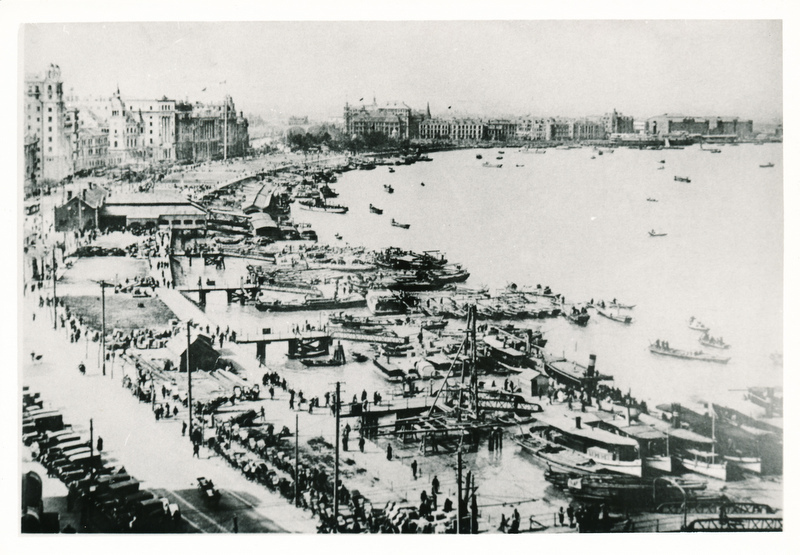 1927 "Shanghai Saga" by John Pal. 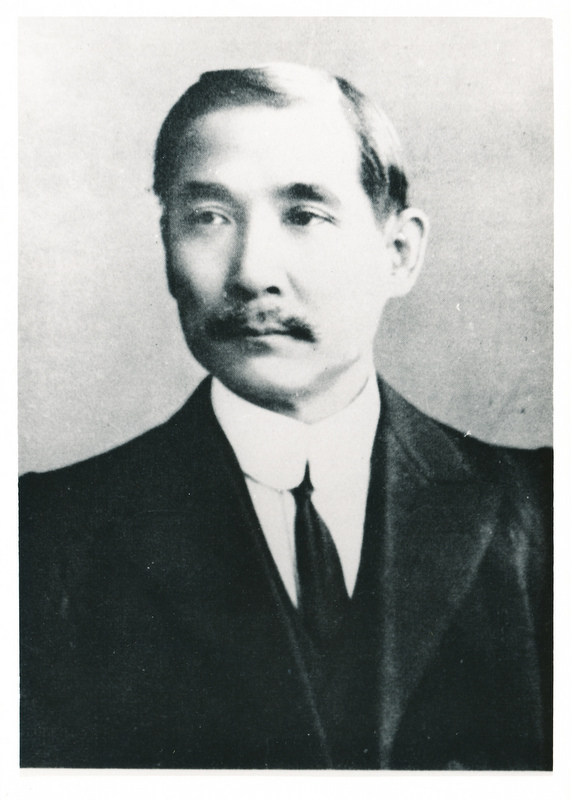 Page 113 "China's Lenin" - Dr Sun Yat Sen Fiery Cantonese revolutionary once held captive in London Embassy of Imperial Peking. 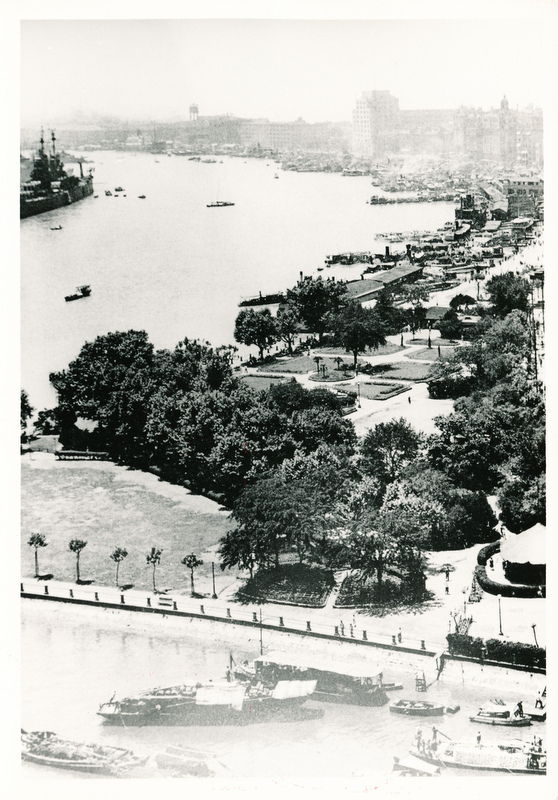 1927 "Shanghai Saga" by John Pal. 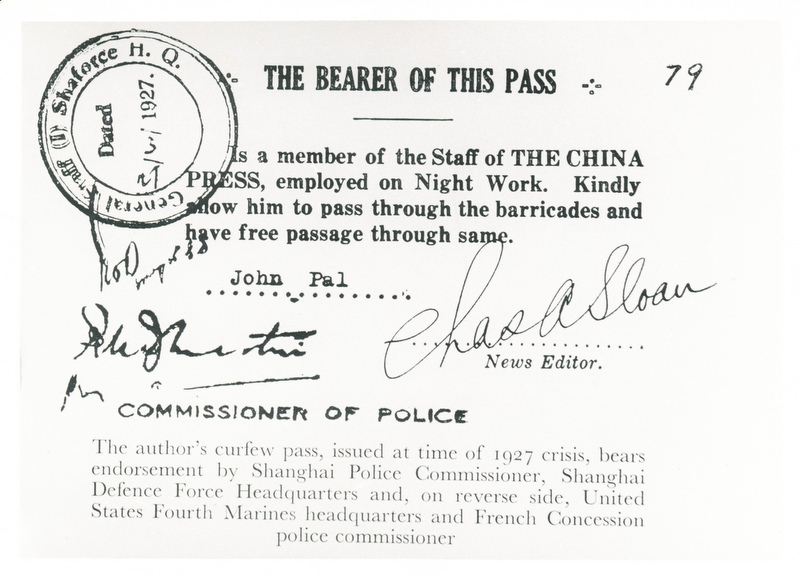 Authors curfew pass. 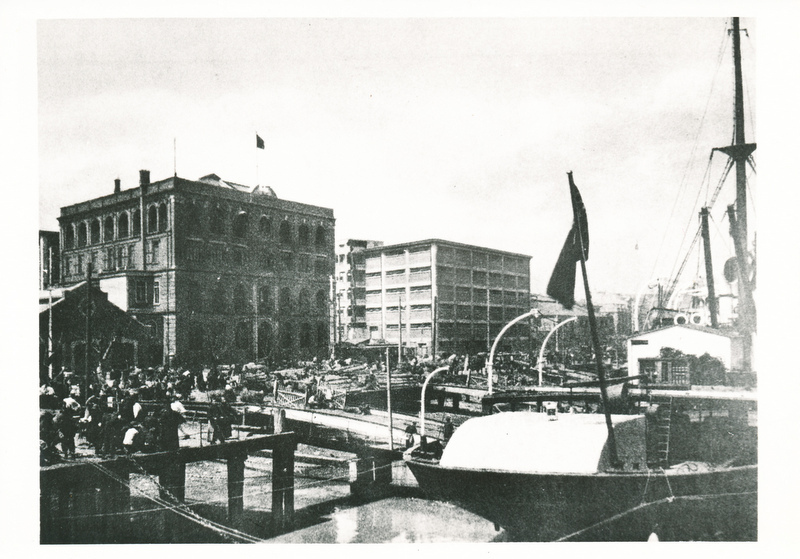 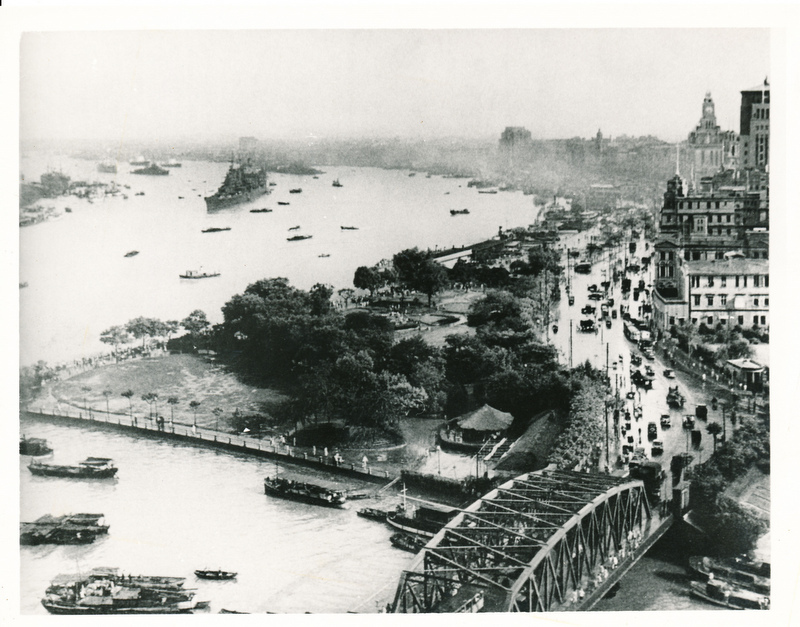 1928 "Shanghai of Today" Plate 40 B&S Offices and Godowas French Bund. 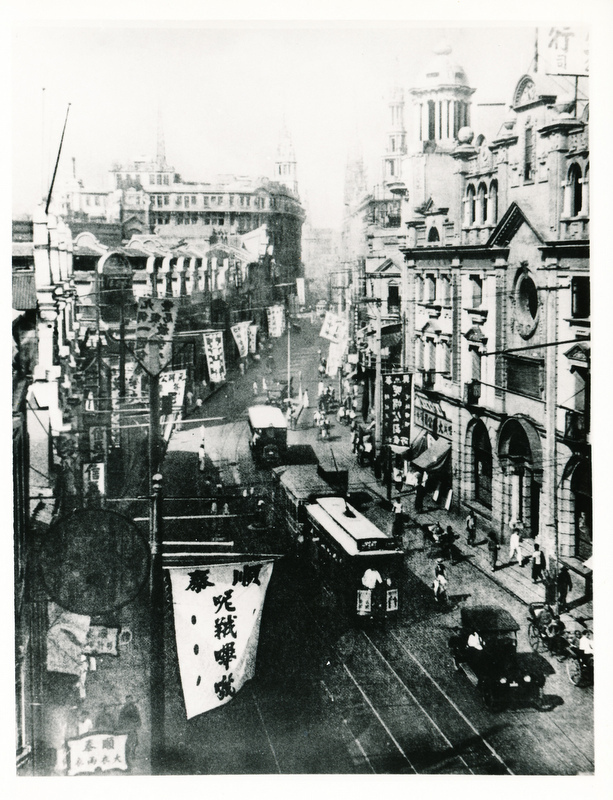 1928 "Shanghai of Today" Plate 23. 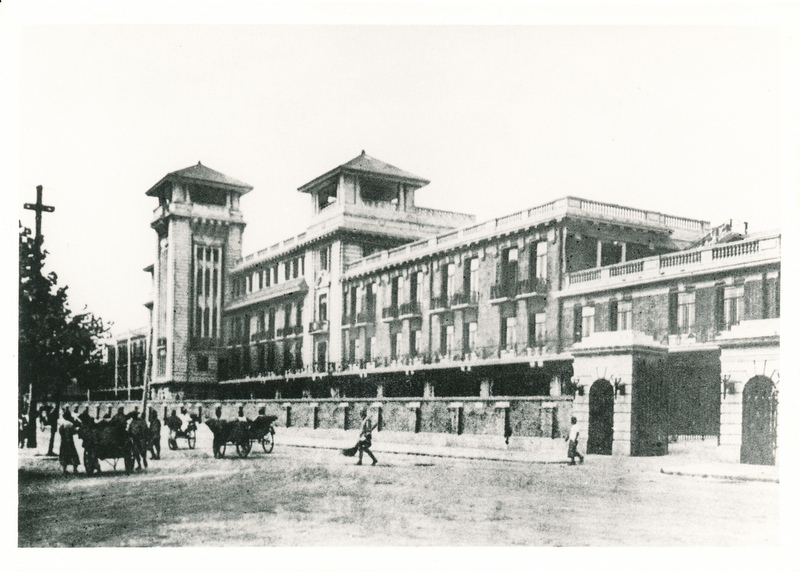 Public stand (Back view) and Admin. 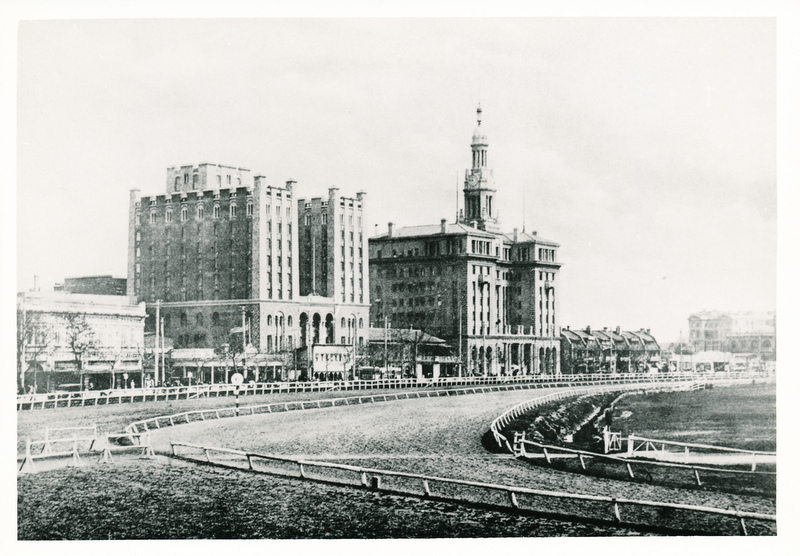 Block of Shanghai Race Club Mohawk Road. 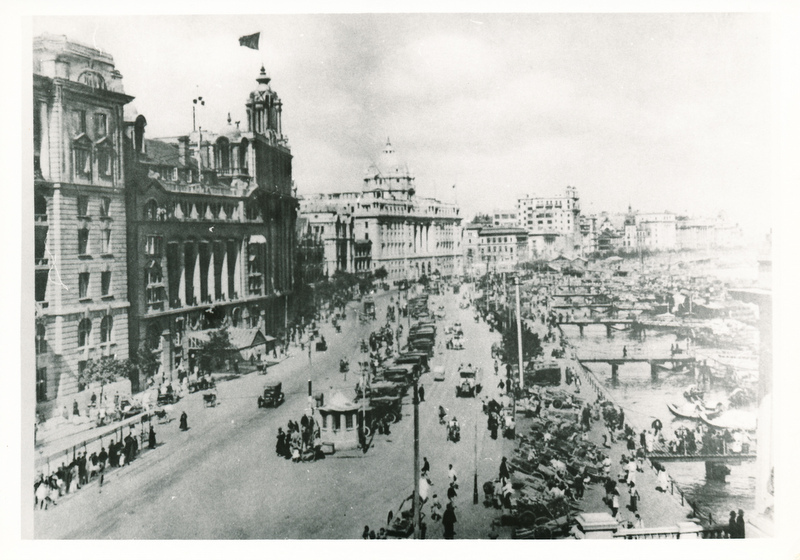 1928 "Shanghai of Today" Plate 24. 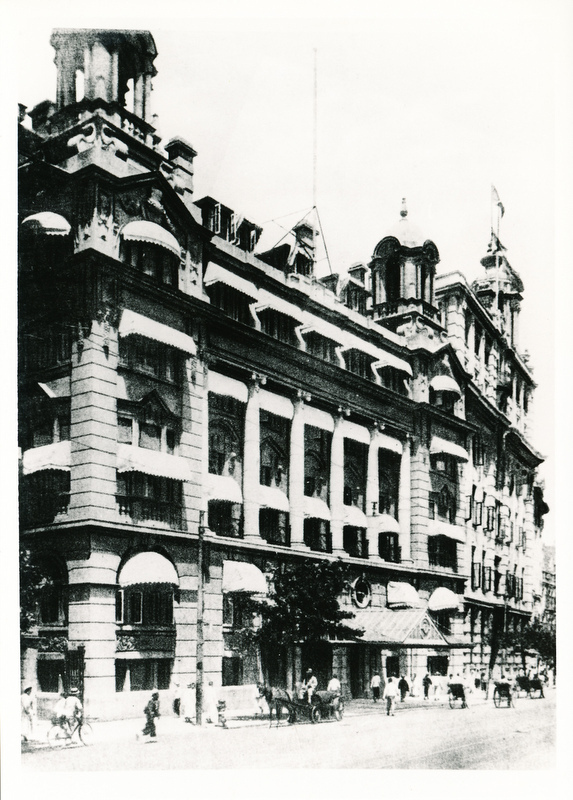 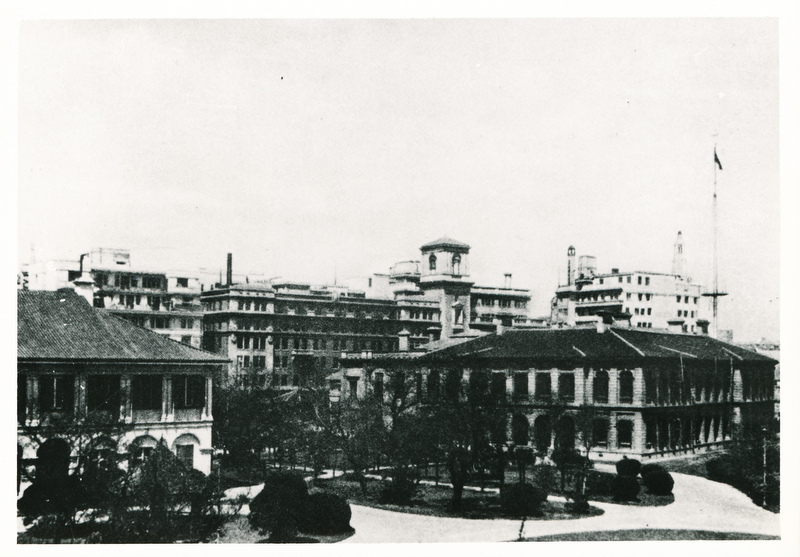 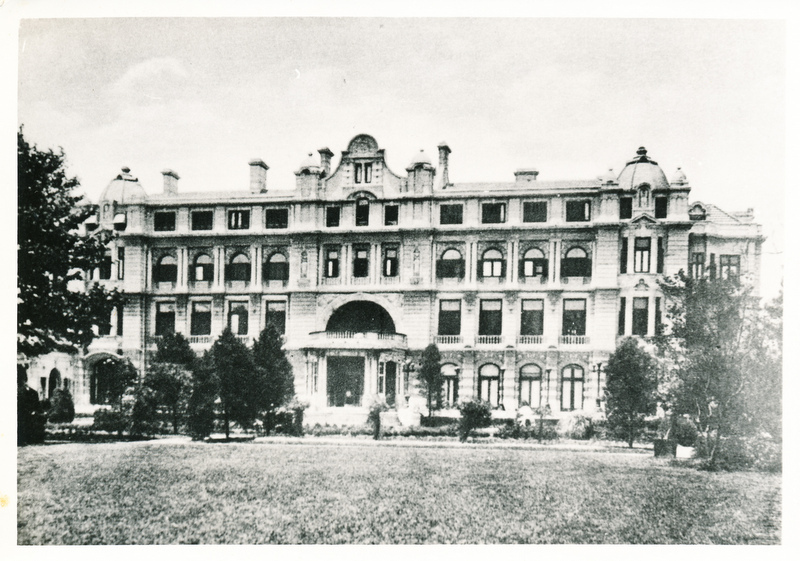 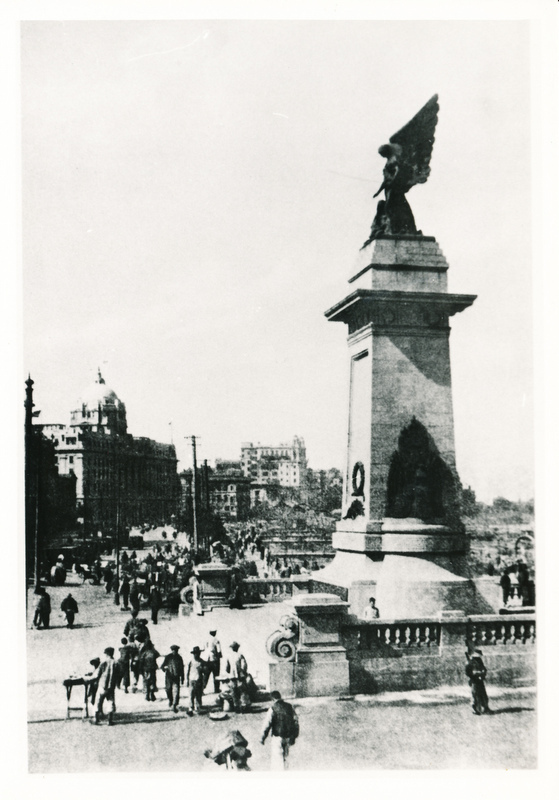 The wing on Department Store at the junction of Nanking and Chekiang Roads. 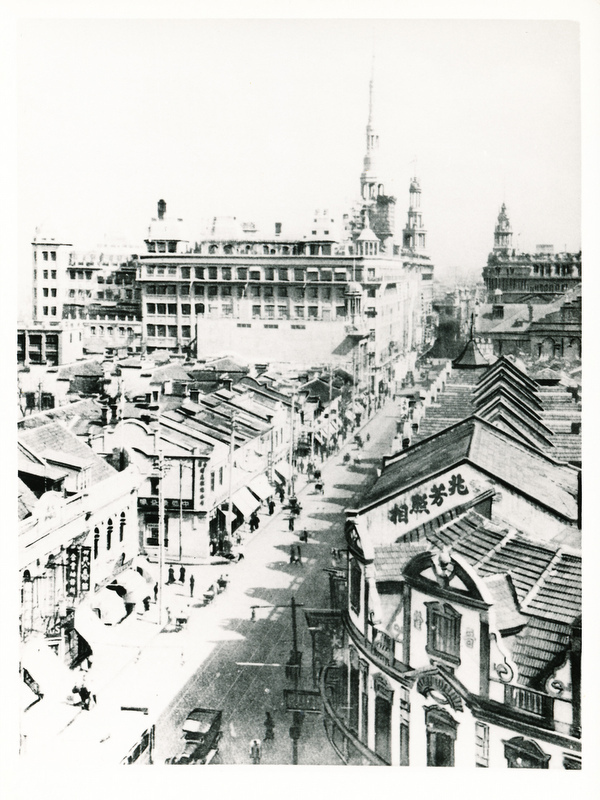 1928 "Shanghai of Today" Plate 30 Bubbling Well Road looking westward. 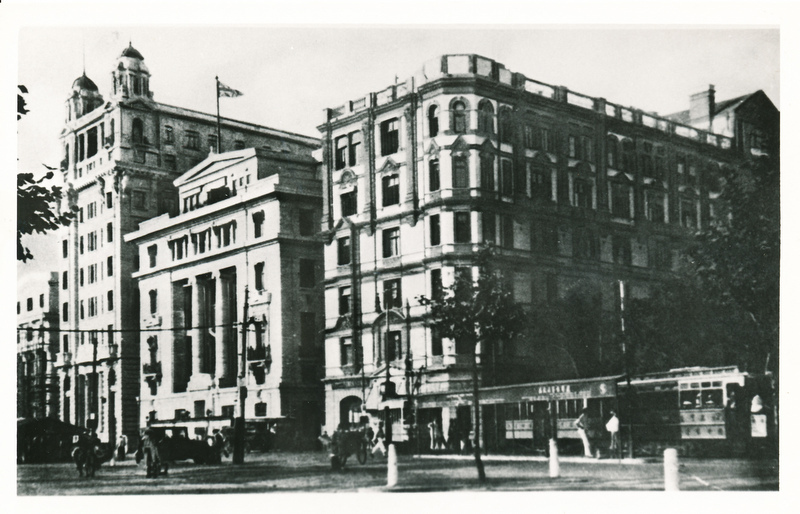 The imposing building is that of the China United Assurance Society. 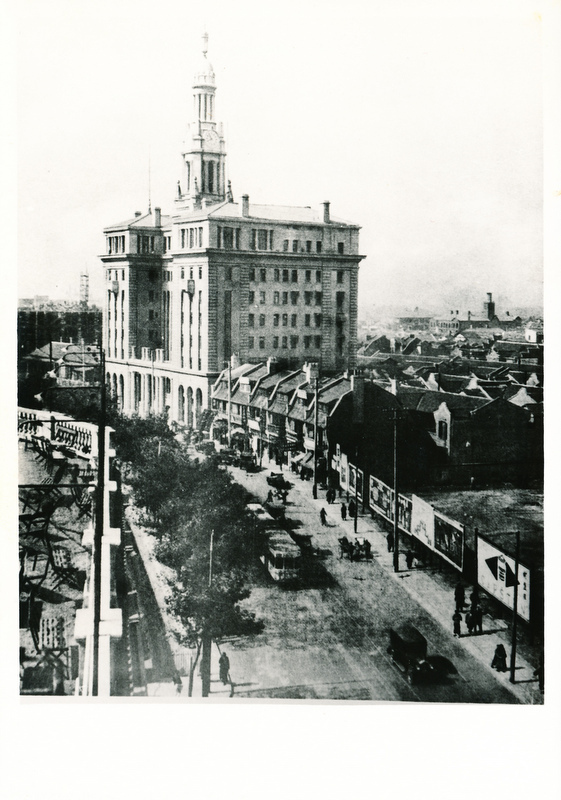 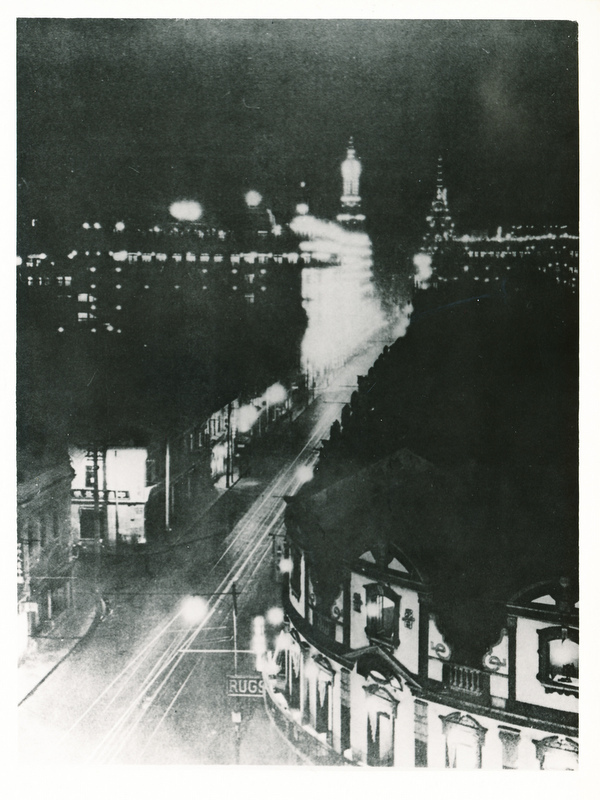 1928 "Shanghai of Today" Plate 26 The Sincere Co. Ltd. at the junction of Nanking and Chekiang Roads.